Red Bull Arena: Two More Sections Sold-Out! 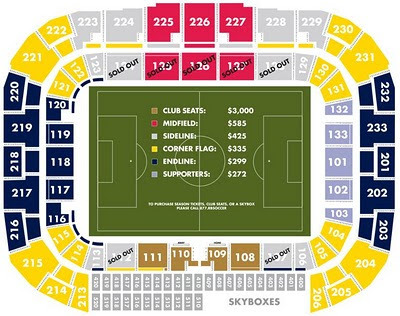 The Red Bulls have announced today that two more sections are sold out in Season Tickets. In other Red Bulls news, Soler and Backe have confirmed that the team is in negotiations with several Attacking Midfielders and are confident of adding one before the season opener. The club is also looking to add a Designated Player after the World Cup. Good to see they are serious about improving the midfield. Also happy to hear that they rate Agudelo highly. I hope the kid gets signed. If I were Ubi or Sassano I'd be very worried about my job.